Recover files from LG Thrill phone memory card! Please help me out! I accidentally deleted my LG Thrill phone data without any backup. I've a 8G memory card. All my files including photos, video and music on it are gone now. Is there any way to recover those files? I heard some software can retrieve memory card data, any suggestions? Yes, you can recover deleted files from your memory card with recovery software, as long as they're not overwritten by new files. When you delete or format files on your phone (memory card), the files are actually only marked as useless and become invisible. They're still there, though their place is available to new files. Thus, you need to avoid adding new content to your phone or the memory card after the accident if you want to recover deleted/formatted files from LG Thrill phones. Overwriting it with new data makes data recovery more difficult. First of all, get a LG Thrill photo recovery tool: Wondershare Data Recovery, or Wondershare Data Recovery for Mac. Both of the photo recovery software support recovery of LG Thrill phone memory card, including photos, video and audio files. You can use them to complete the recovery task in 3 steps with zero quality loss. It also allows you to preview lost photos before recovery. 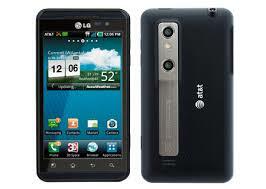 Download the free trial version of this LG Thrill photo recovery software to recover deleted photos from LG Thrill now. Choose the right version for your computer. With Wondershare Data Recovery you can easily perform deleted file recovery, partition recovery and RAW hard drive recovery. Connect your phone or the memory card to the computer and follow the next simple steps to perform photo recovery. To recover deleted photos from LG Thrill, you can go to select the option "Photo" to start. Then select your LG Thrill phone or the memory card, and click "Start" button to scanning deleted photos, video and audio files. You can go to deep scan if quick scan can't find your deleted files. At last, you can preview those found photos here to check whether your favorite ones have been searched out and confirm the quality. After that, mark those you want and click "Recover" to save them all on your computer with one click. Note: Don't save the recovered data on your LG Thrill or the memory card again. Find another place for it like on your computer or other external disk, for safety's sake.